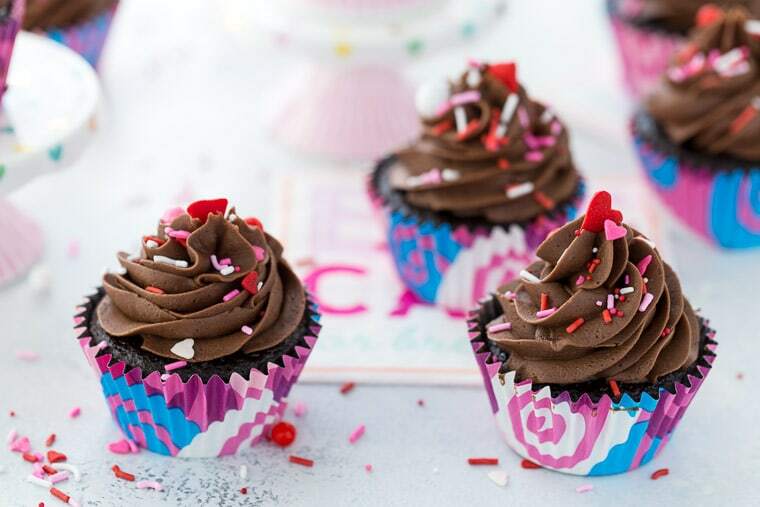 This Valentine’s Day make my go-to chocolate cupcake recipe for your loved ones. It is moist and decadent with a perfect creamy chocolate buttercream. Every now and then I forget that we all need classic recipes for our baking repertoire. That is why I am bringing back these chocolate cupcakes with perfect chocolate buttercream back to your attention. I first shared this recipe over three years ago and I still use it every day. 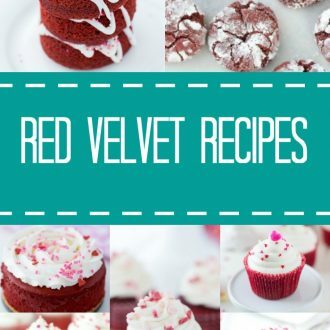 It is my go-to chocolate recipe for cupcakes and cakes and it is the only chocolate recipe you will need. This chocolate cupcake recipe is a one-bowl devil’s food chocolate recipe that is fool-proof. Made with buttermilk, vegetable oil and coffee, it is moist, decadent and every chocolate lover’s dream. The addition of hot coffee to the batter always give a moist, rich mocha chocolate cake. If you don’t want to use coffee, just replace with hot water. 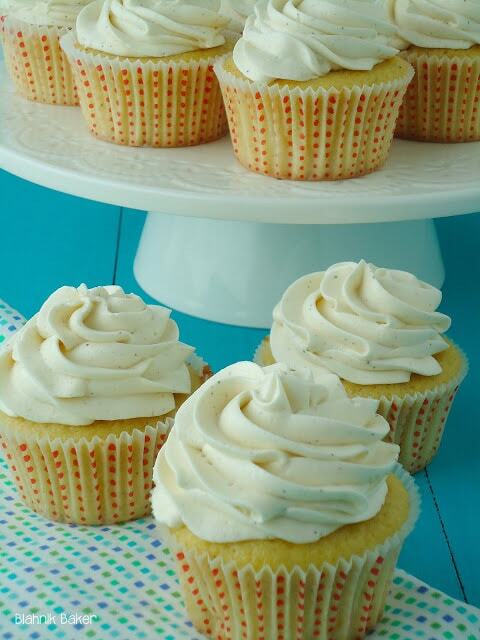 The buttercream here is a little different from my usual but it’s been a delicious variation. Instead of adding melted chocolate to the frosting, I used cocoa powder. It gives a very creamy, fluffy and chocolate-y frosting. With the addition of cocoa powder you are in control of how much chocolate you add and how chocolate-y the frosting will be. Regardless of your chocolate preference levels, this frosting is amazing!! 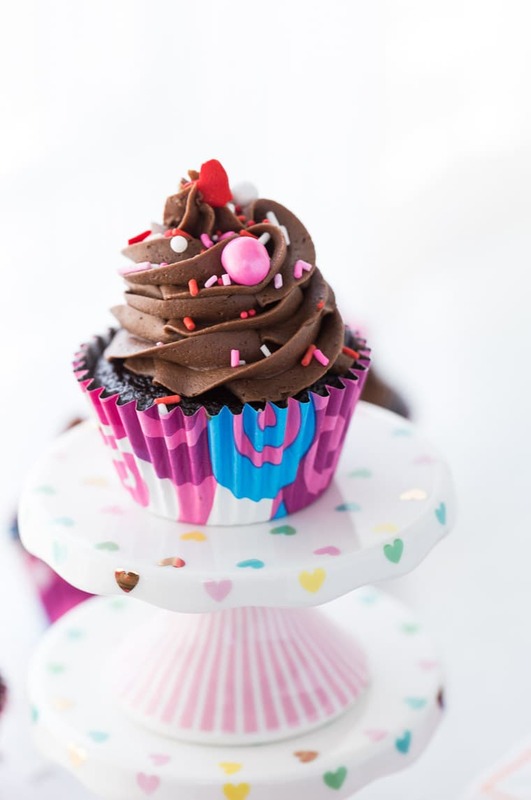 As I was putting this post together, I realized that I don’t have a post on the blog dedicated to chocolate cupcakes with chocolate buttercream. I always dress things up. There were these dark chocolate salted caramel cupcakes (my absolute favorite, if I must say so) and this chocolate milky way cupcakes and even this chocolate peanut butter cake. But nothing just CHOCOLATE. And sometimes you just need a great chocolate cupcake. 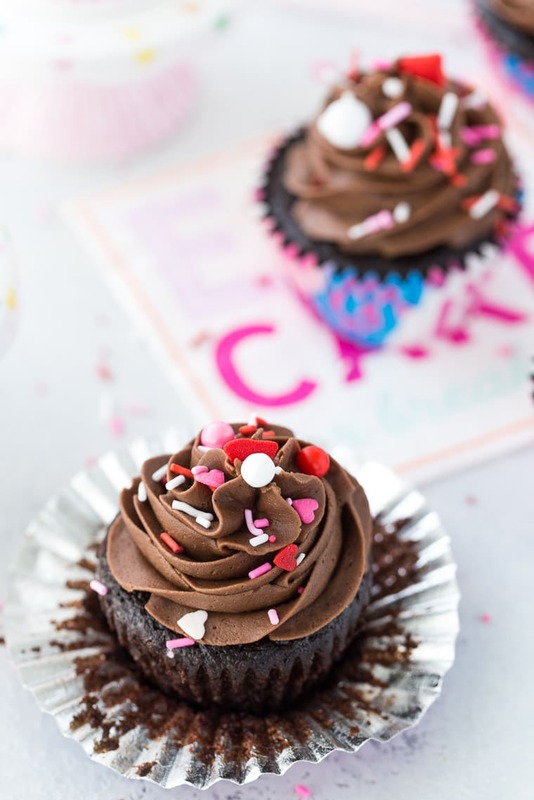 So if you are looking for go-to chocolate cupcakes with perfect chocolate buttercream, look no further. This recipe will not disappoint and is easy to whip up at any time!! 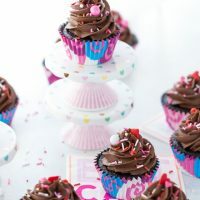 My go-to chocolate cupcake recipe is a very moist, airy, rich chocolate cupcake with a perfect creamy chocolate buttercream. Whip butter on medium speed for about 2-3 minutes in the bowl of a stand mixer fitted with the paddle attachment until light and creamy. Add the powdered sugar, cocoa powder, vanilla and salt and mix on low for 1 minute until combined. Increase speed to medium-high and whip for 2-3 minutes. Add heavy cream and beat on medium-high for an additional minute or two. Frost cupcakes and decorate with sprinkles. 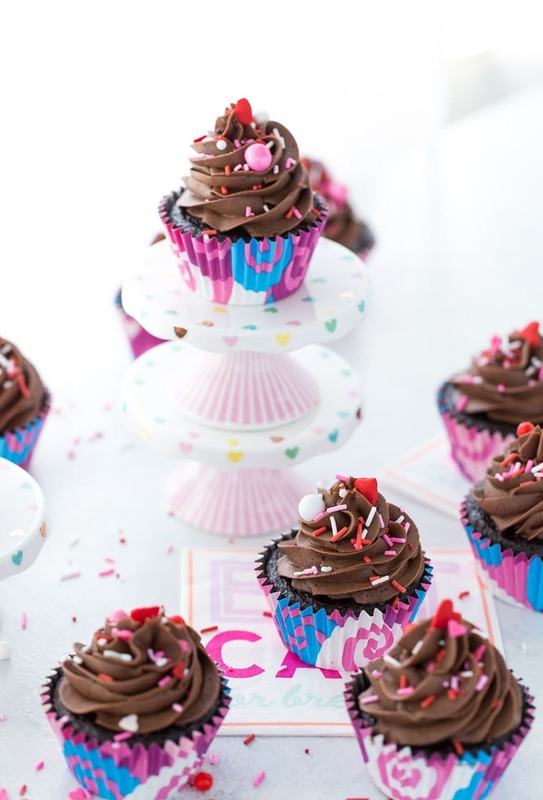 These definitely do look like the perfect chocolate cupcake! You are so talented, I’m loving all your delicious treats! Gorgeous photos, as usual! Chocolate cupcakes are the best, especially when made with coffee! Thanks Hallie. I don’t think I can go back to not having a little bit of coffee in my chocolate cake. It’s so good!! That chocolate frosting looks dangerously good, I’m pretty sure I would just grab a spoon and take a few tastes of it before it goes on the cupcakes. These look great! How did you know? I always end up eating more than my share of just the frosting. It’s just too delicious, plus all that time waiting for cupcakes to cool, things happen. Those are gorgeous, saw them on Pinterest, so pinned!! Thanks Ciara! The frosting is really just fluffy. 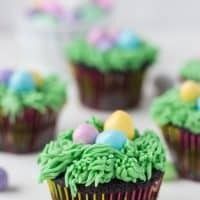 These are some lovely cupcakes, they look delicious! That frosting looks scrumptious! Thee cupcakedo look perfect. 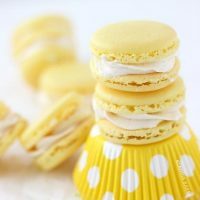 I love the ruffles of buttercream, what tip did you use? Thank you so much. I used Wilton tip 2D for these. 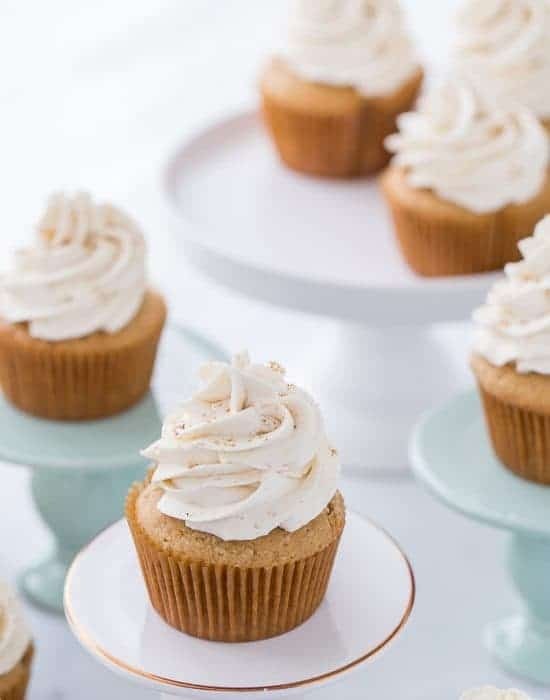 Wow, this buttercream really is perfect, or at least you are a perfect froster – these cupcakes are gorgeous! They look so moist and delicious! Also, those straws are so cute. Where did you find them? Thanks Cate!! The buttercream was easy to frost thankfully. I got the straws at Micheal’s a few weeks ago. They are on clearance now because I just saw them at JoAnn’s Fabric this weekend and was not happy. Sometimes traditional and classic is just what you need. I add coffee to my chocolate cakes/cupcakes too. It brings out the chocolatey flavor. I love chocolate buttercream. The leftovers are so good smeared on graham crackers. I agree with you!! Classic is always necessary. Thanks for the great idea of smearing on crackers…i tend to just eat it by the spoonful lol! 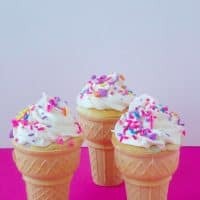 I saw these on Pinterest earlier today but didn’t have time to stop by and comment. So here I am. OMG. These look amazing! They are beautiful, Zainab. Another great sweet treat from you. Pinning again and sharing on social media! Thank you Julie!! And thanks for sharing 🙂 The cupcakes were delicious and chocolate is always in vogue. You never cease to amaze me with all your perfect and beautiful creations. Perhaps you’re supposed to be a TV cooking show host/star instead of a doctor!! 🙂 Certainly, you should have some cookbooks published along the way! Aww thanks Teresa. I’m flattered. I’m going to continue baking and making more pretty cupcakes :)..and try to be a scientist on the side lol! These look so good, moist and chocolatey. Can’t wait to try them! I have a similar go-to recipe for chocolate cupcakes, and I love it. It’s never let me down, yet! But I usually make it with ganache rather than buttercream. I’ll have to try your recipe — looks perfectly chocolately! OOoooo I’ll love to try it with ganache. That sounds richer!! And there you go again. Now I want a chocolate cupcake for breakfast. Seriously though…amazing!! P.S. You should do a post on cupcake decorating b/c these look awesome! What tip did you use? Thank you Sir! I used Wilton 2D. Yep, sometimes we need a chocolate fix! That would be me today:) The piping so so pretty and I am all over those sprinkles. Yum! Thanks dear! I feel like this week I need one of these everyday. Well, I’d ask you to make this for me too. These cupcakes look stellar! They turned out so moist yum! You have some mad skills in piping frosting — it’s gorgeous! 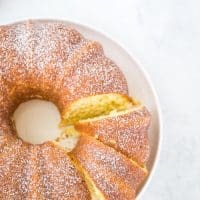 This cake recipe sounds divine as well, so I’m pinning. I’d love to sink my teeth into one of those. My brother always requests really plain treats and it drives me crazy! But I’m really glad you shared these because i don’t really have a chocolate go-to. These look heavenly! Thanks dear. So annoying but it’s good to go back to the basics. Thank you so much Tina. I did like the papers and too bad fall is almost over now. Apart from the fact that I would love a couple of these right now, your pictures look really, really good. Your chocolate cupcakes look divine. I agree with you sometimes you need just a great chocolate cake with no additions. Thanks Dawn! I think my hubby and sister will say you need a chocolate cake all the time lol! sometimes chocolate cake is just what you need! I agree it can sometimes seem so basic, but when you want it, you want it! I use coffee in my chocolate cake also. I love the decorations, I would say not just for Halloween, but perfect for fall! I would wash these down with a big glass of milk! Thanks Alex! Isn’t coffee the best in chocolate cake? Oh my goodness! These look so very VERY yummy!! Thank you Tracie! They were very yummy indeed. The buttercream looks so fluffy and delicious! These are unbelievable , they look soooooooooooooooooooo GOOD !! I love classic flavors like this …. as much as it’s fun to experiment and try new things the classics can be so good! 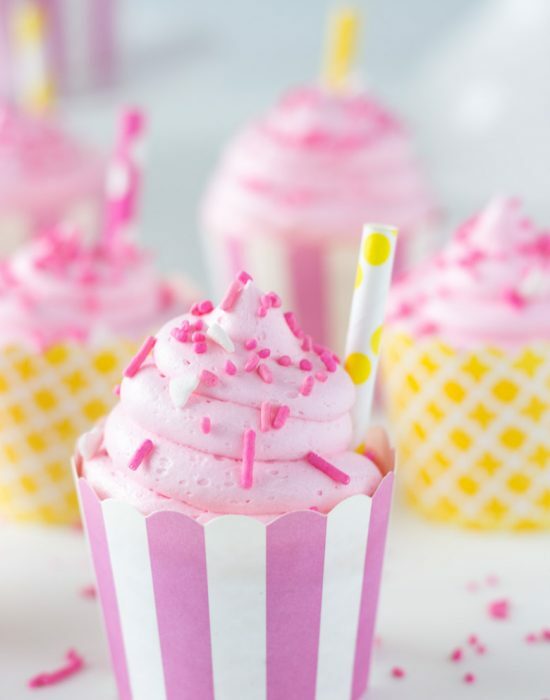 These cupcakes look awesome : ) Hope you had a great weekend! Wow. Those look amazing. Just pinned so I can try later. Thanks! 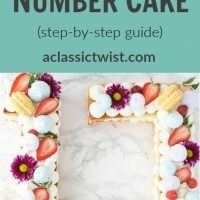 I’d love it if you linked up with our weekly link up party and shared! This is a truly gorgeous cupcake with an absolutely perfect crumb – and that’s not an easy achievement! What a great recipe. I’m definitely pinning this! 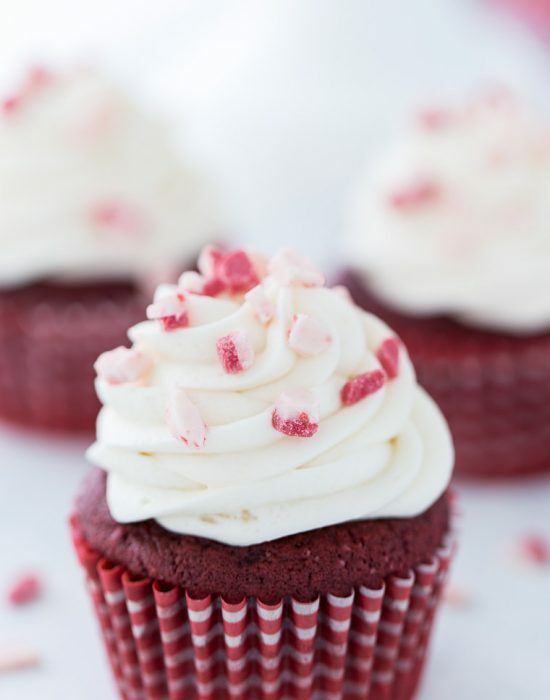 These cupcakes are absolute perfection! I love how rich and dark the cake is, and the buttercream looks so tempting! Your piping looks like a frilly ruffle, so cute! These look amazing Zanib! I just whipped up a batch and it is baking in the oven. 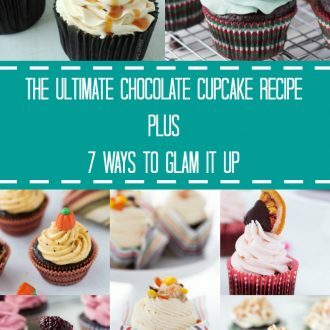 When I wanted a fool-proof cupcake recipe I thought of you first! Thank you for the great recipe! Yay!! Thank you so much for letting me know you tried them 🙂 I hope they turned out great!! You absolutely cannot beat the classics, and I love your new photos! These are perfection and the buttermilk and coffee sound like wonderful additions! You can’t go wrong with chocolate! Those cupcakes look perfect for every occasion! Hi Zainab! 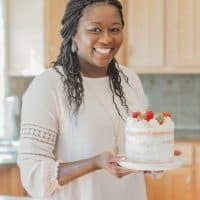 I Love this recipe and glad you shared it! I also love the choco buttercream frosting, just pinned it!! !